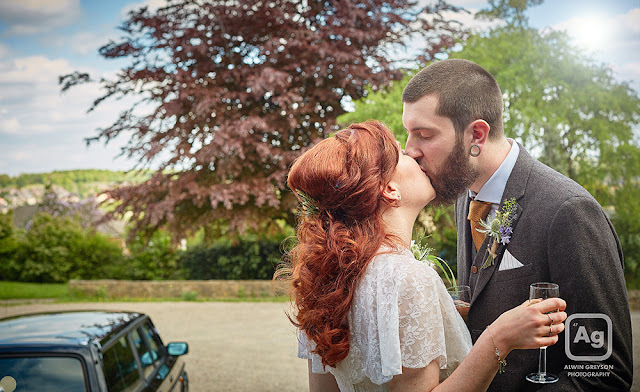 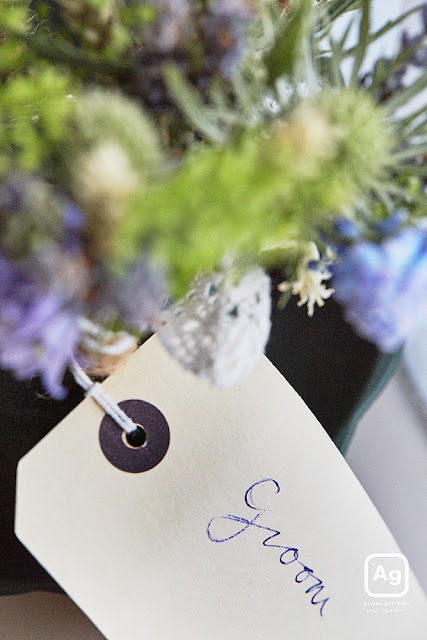 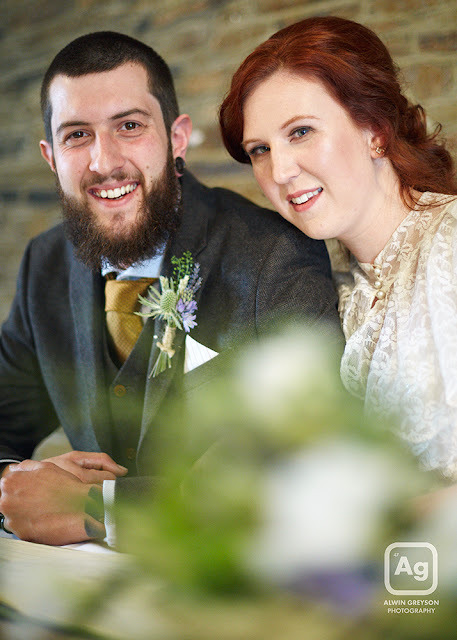 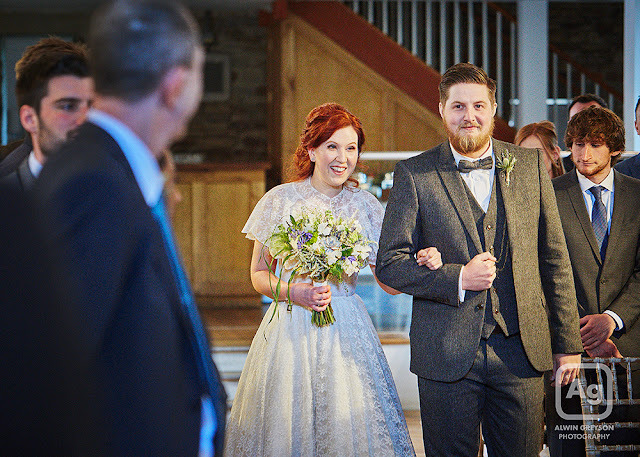 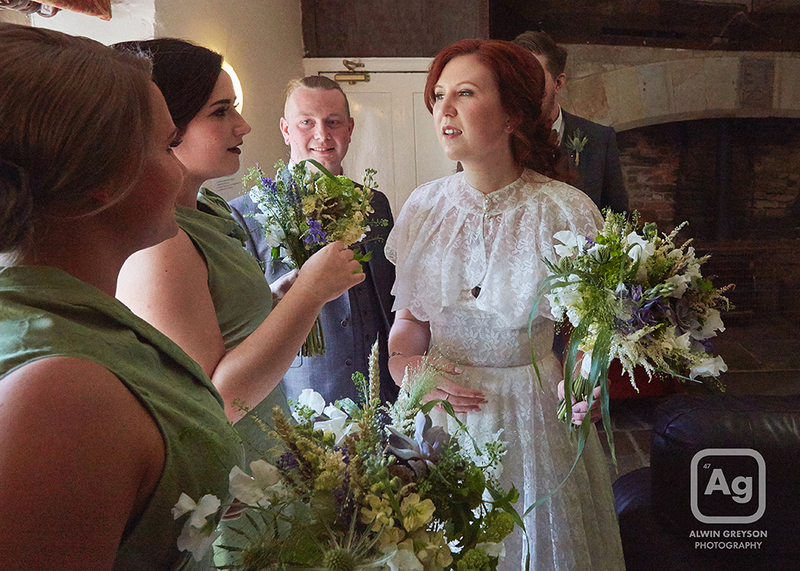 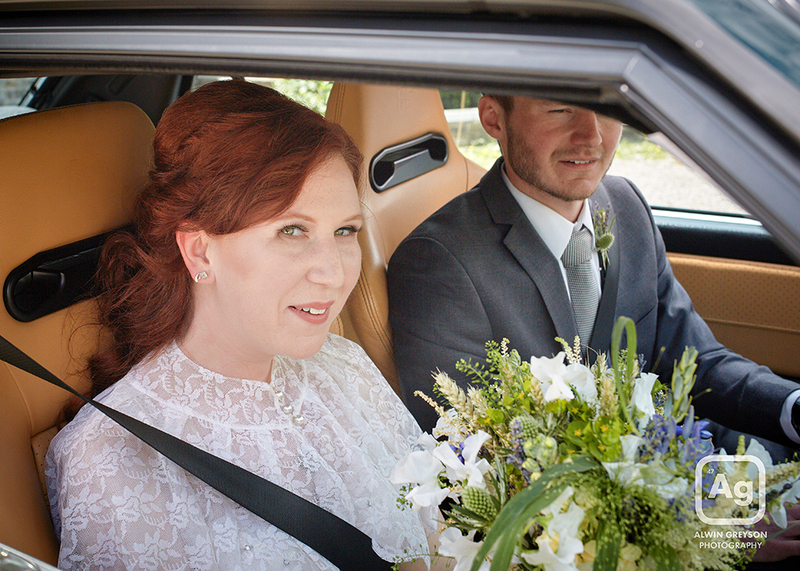 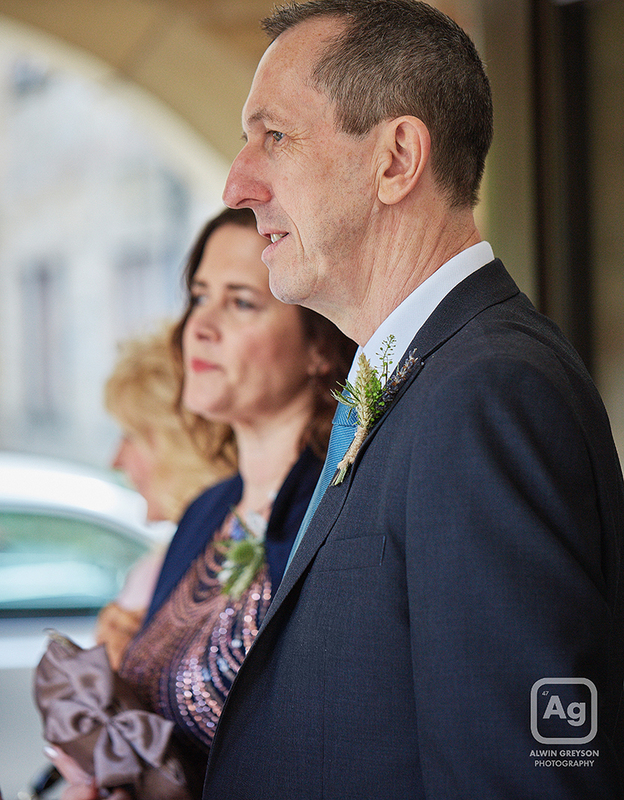 Campbell's Flowers: Emma and Chris's Northorpe Hall Wedding - Natural sprigs and woodland charm. 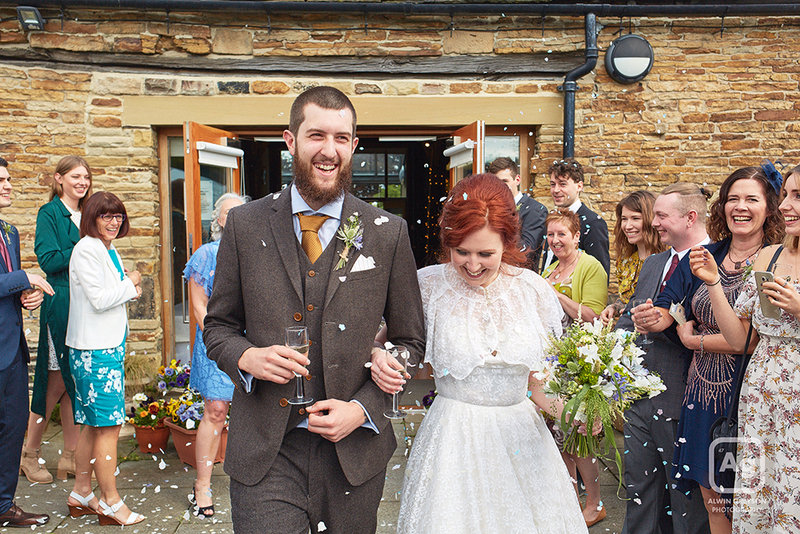 Today we are bringing you a super Spring wedding from May this year. 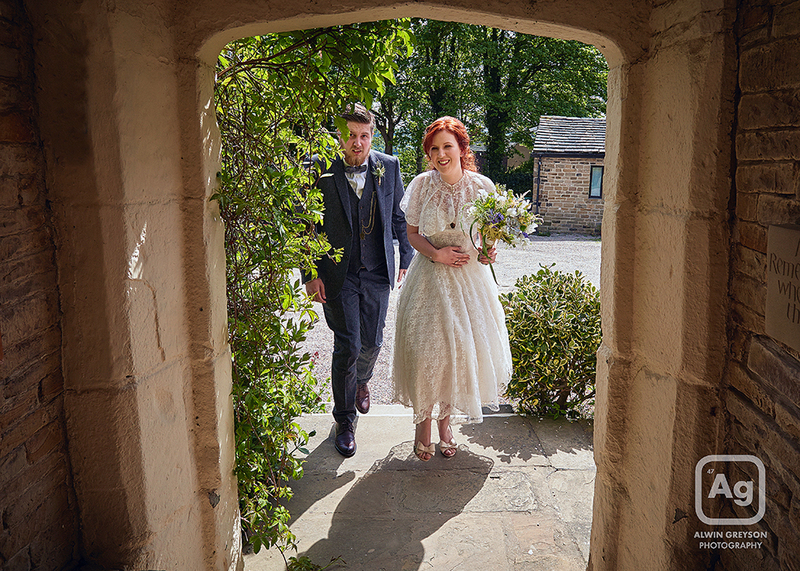 Emma and Chris got married at the beautiful Northorpe Hall which provided a natural and relaxed atmosphere, within just stunning gardens, which is just what the couple were aiming for. 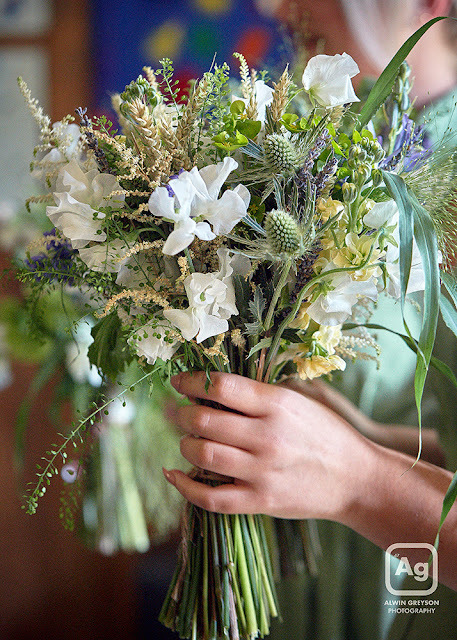 Emma had quite a specific request with regards to her bouquet, she suffers with hay fever so T couldn't use anything too scented. Sometimes we have to take things other than aesthetics into account but as always it's never a problem. 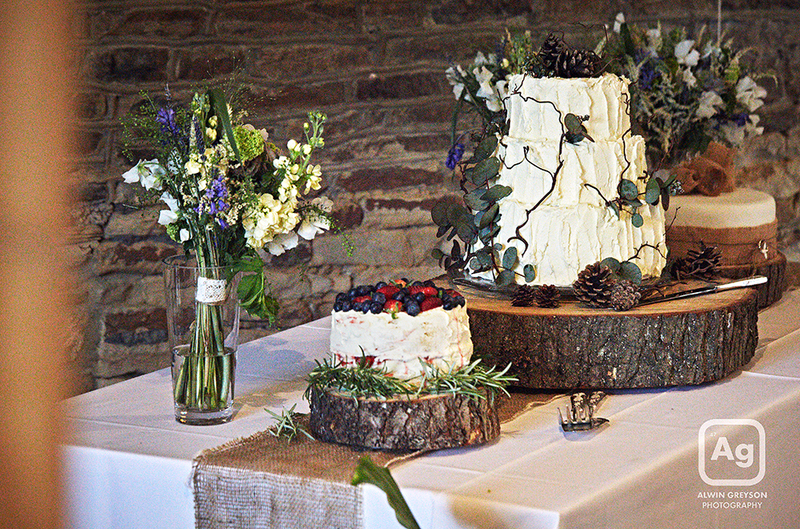 Our lovely bride wanted a very natural, woodland feel to the day with plenty of twigs and branches. 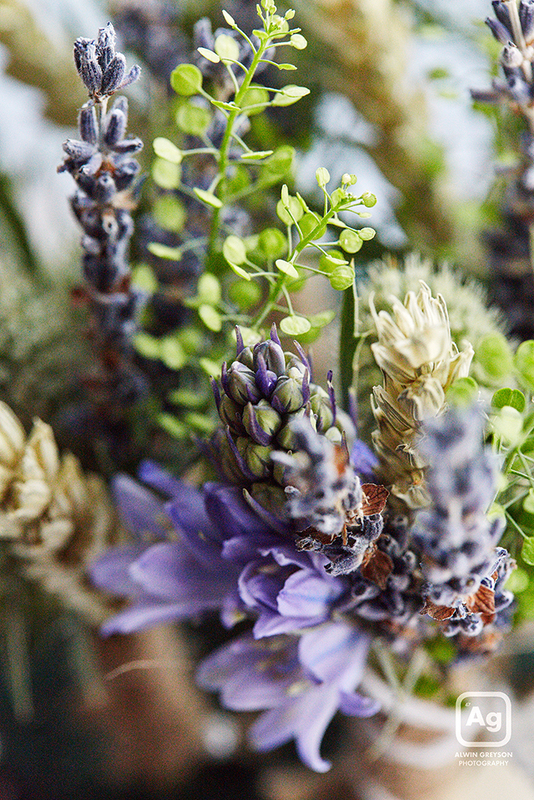 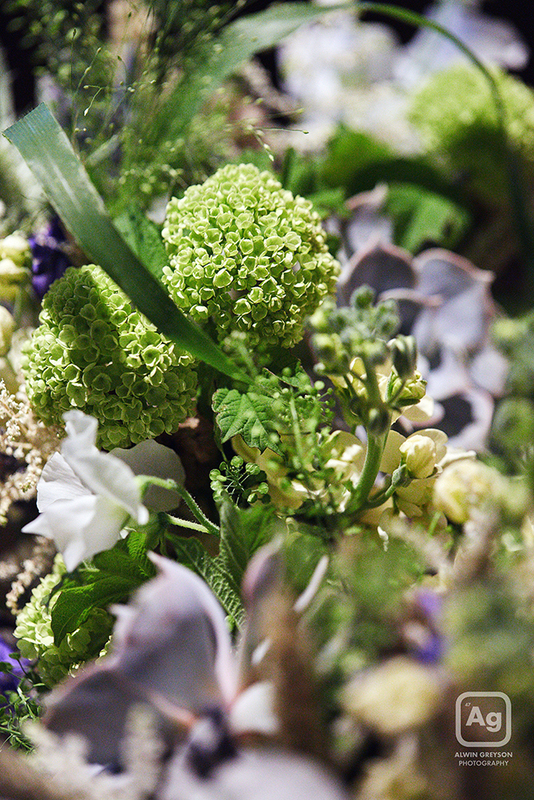 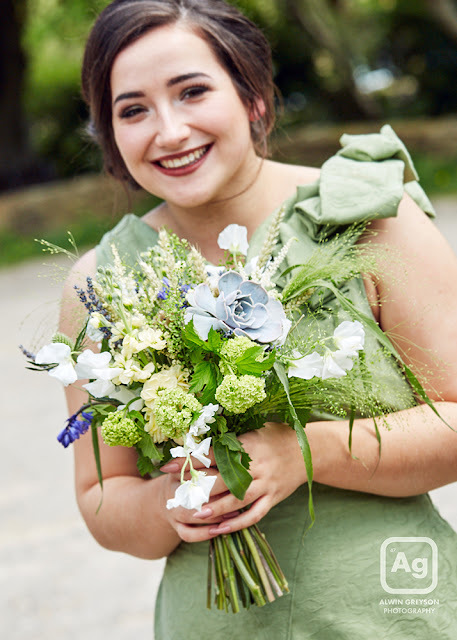 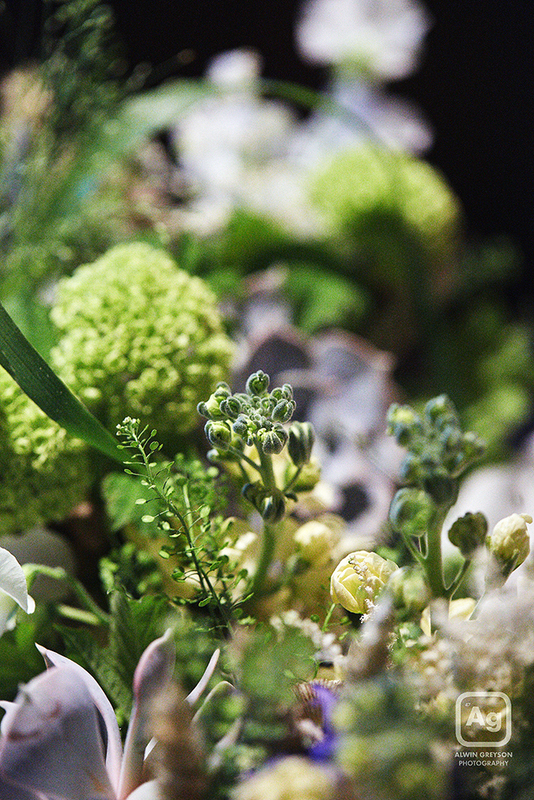 For the brides bouquet T chose to use low pollinators like wheat, barley, succulents, dried lavender, twigs, bluebells, euphorbia, berries, thistles, sweet peas and viburnum opulus with many of the blooms being British grown. 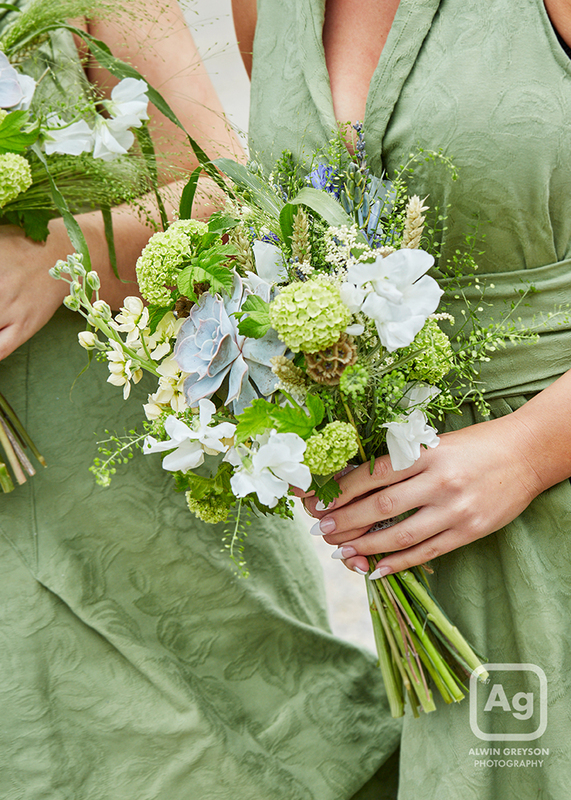 The bridesmaids had a similar design to the brides but smaller. 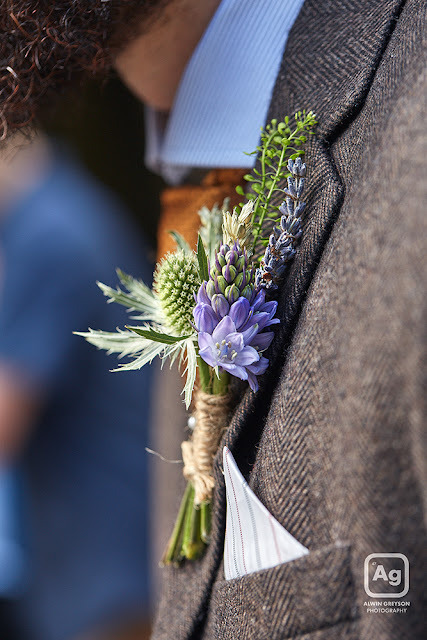 The buttonholes were a sprig style design including a white thistle and wheat. We just love this pretty cool, but soft colour palette. 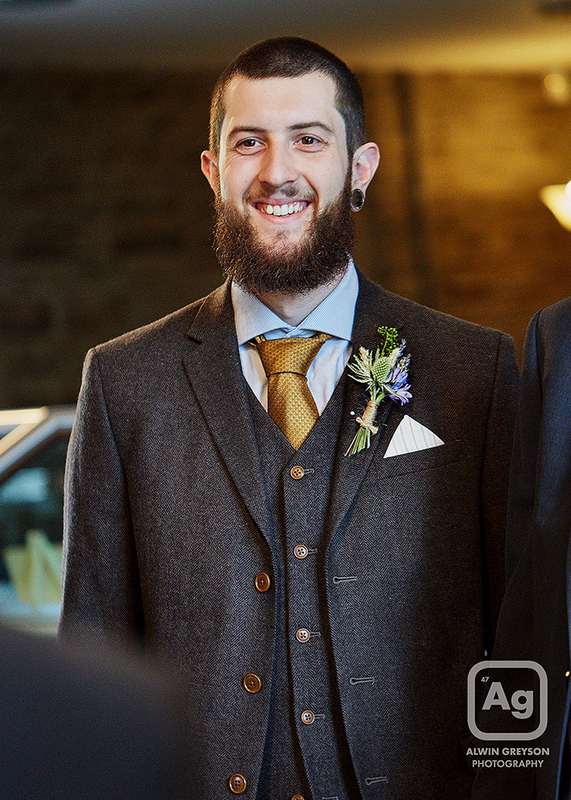 Photo credit to Alwin Greyson. 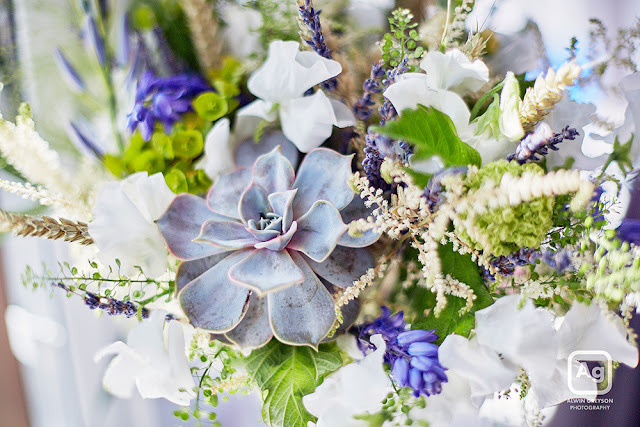 Have a scroll through and enjoy!